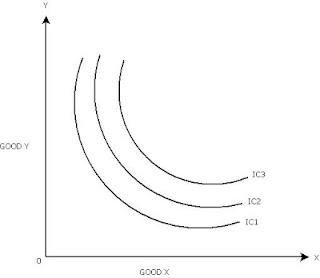 The IC curve always slopes downwards from left to right, then only we can show the consumer is purchasing one commodity more and the other one less. In our ex the consumer purchases more apples and fewer oranges. In this diagram the IC curve is horizontal and it consists of combinations of apples and oranges but they are equally substituted for 5 apples, here the HRS instead of decreasing it is equally substituted. In this case the consumer will not get the same satisfaction from all the combinations. Actually satisfaction may increase. Therefore the IC curve cannot be horizontal. In this diagram the consumer moves upwards along with the curve. It implies he gets more and more of both the commodities. Therefore the total satisfaction increases. At point P the consumer gets OM of apples and ON of oranges. At point Q he gets ON1 of oranges and OM1 of apples, obviously at this point the consumer gets more of both the commodities and the satisfaction will be greater than P. Therefore the IC curve should not move upwards. The IC curves are convex to the origin, and then only we can show the diminishing marginal rate of substitution. (DMRS). In this diagram IC is convex to the origin because the consumer purchases more apples and fewer oranges. This indicates the HRS. If the IC curve were to be concave or straight like HRS may not be appropriate, therefore, the IC curve must be always convex to the origin. 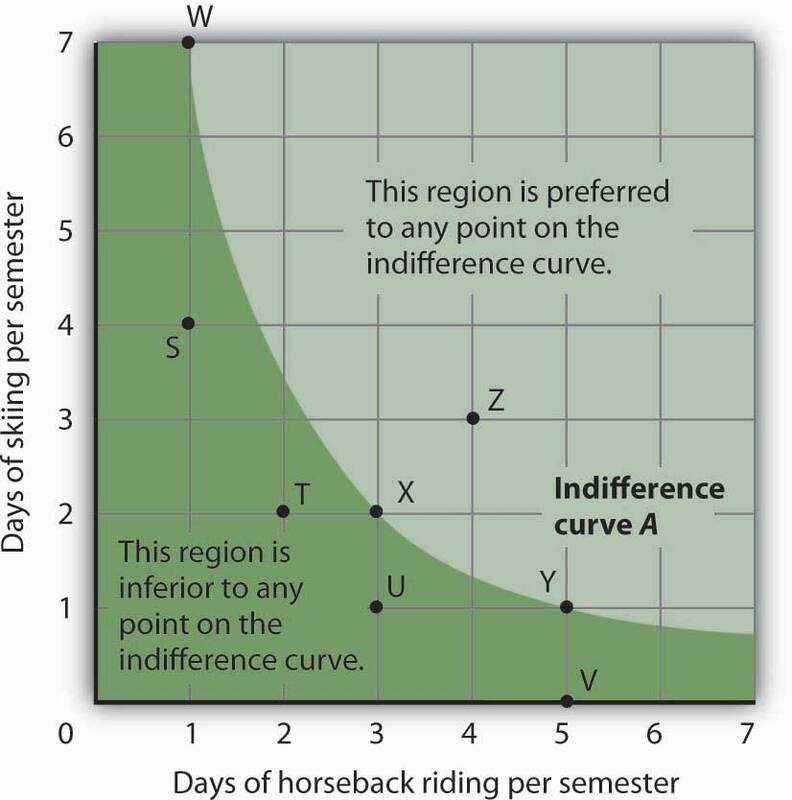 In this diagram the two indifference curves intersect each other. The satisfaction point A lies on IC2 represents higher satisfaction to the consumer than the point B which lies on IC1 but the point C which lies on both the curve shows the satisfaction point A and B are equal. This is actually impossible therefore IC curve cannot intersect each other. Every indifference curve which comes right derives greater satisfaction because the right side IC2 cure is above the IC1 therefore any combination on IC2 gives more satisfaction than IC1. In the same way IC3 gives more satisfaction than IC2 and so on. In indifference curve cannot touch either axis. This can be shown in the diagram. If IC2 touches X axis a point M the consumer will purchase only apples and not oranges. In the same manner if IC1 touches y axis at point L the consumer will purchase only oranges not apples. But the consumer wanted to buy two commodities. Therefore, the IC curve cannot touch any axis.